Marbella is a place that consistently draws admiring glances from other resorts. It is a town that can be ultra-exclusive for the rich and famous while also affording the Average Joe and Joanna their chance to hob-nob with the elite in a way that just couldn't happen in Monte Carlo or St. Tropez. Marbella is fresh yet classy, laidback yet open-all-hours, and easily accessible yet a world away from the often dreary grey of northern European climes. In short, Marbella is a fascinating enigma. One of the most glorious ways to experience Marbella is to take an early morning or late evening stroll along its delightful Paseo Marítimo: a sweeping stretch of promenade that takes in the entire length of the main town area; where palm trees guard beautiful terracotta villas, lavish hotels elegantly creep towards the beach (only imposing in the most discreet manner), and people of all ages stroll, run, skate, cycle and chatter as charming cafés, traditional tapas bars and chilled-out chiringuitos serve all manner of delights for the hungry and thirsty. This is Marbella at its best. Forget the international reputation for glitz and glamour – for now at least – and enjoy the town as it was meant to be enjoyed. The warm sunshine acts as both orchestrator and timekeeper, beckoning children into the water, dictating restaurants’ opening hours and al fresco settings, and generally deciding on the mood of the inhabitants. Invariably, this mood is one of contented relaxation, particularly on the beach or in the cool of Alameda Park. 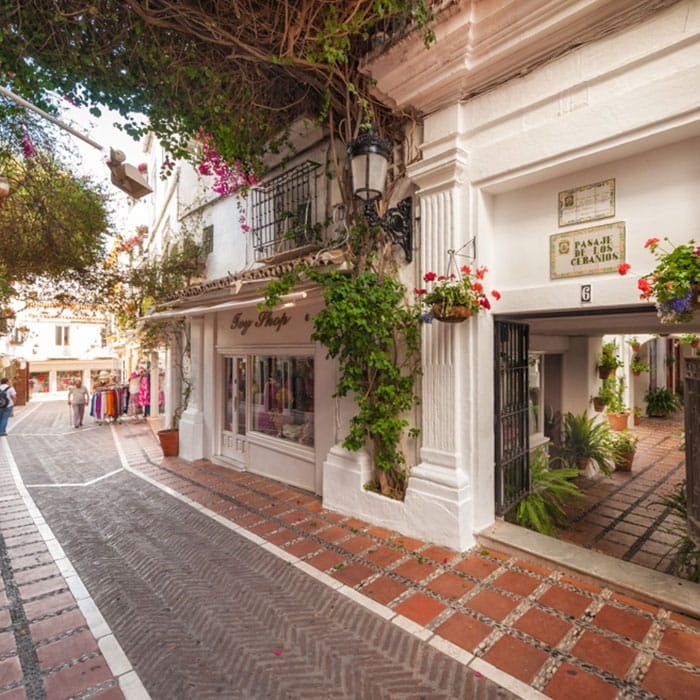 There are shops, bars and clubs aplenty, but Marbella was and still is a very Spanish town, albeit one with a tangible and complementary international edge. Locals, expats and tourists co-exist alongside one another in the most harmonious way, with seemingly nowhere off limits for anybody, and a warm welcome awaiting all. Between the months of June and September, Marbella in the daytime can be split into two distinct entities: the beach and the Old Town. The in-between areas – while pleasant – offer few opportunities to shade from the sun and cool off. Sure, the serene and sophisticated stores and boutiques that line the main commercial thoroughfare that is Ricardo Soriano provide welcome, air-conditioned relief from the heat, but you can't stay in there all day, partly because many close during siesta hours and also because they tend to be designer, bespoke and gloriously out of many people's price range. Thankfully, the same cannot be said for Marbella's numerous bars, cafés and restaurants. There are plenty dotted along the promenade, ranging from classy seafood joints to cheap and cheerful expat bars and your more traditional tapas establishments. All are invariably well-priced and deliver fantastically fresh food for all the family. Alternatively, the Old Town's tight narrow streets harbour a fair smattering of delightful establishments just waiting to be discovered. While you will likely pay more here, the setting makes it worthwhile. It is here, too, that much of Marbella's splendid “feria” takes place each June. Mixing together locals and tourists, the annual fair is well-lubricated with copious amounts of fresh sangria, chilled beer, traditional song and dance and a kaleidoscope of colour, where everybody strolls around with a grin or a smile plastered permanently on their face. Out of season, Marbella during the day is still a fantastically vibrant and enduring place. During the week, it's very much a case of “business as usual”, as Spaniards go to work and the streets are filled with smartly dressed men and dressed-to-kill women, interspersed with your typical dash of skater teens, moped-riding youngsters and, even in December, beachwear-clad holidaymakers looking a bit lost and/or cold. With – among many other amenities – a football stadium, a cinema complex, a barbecue park and a huge shopping mall on the outskirts of town, Marbella has it all. A little more living space for the town's inhabitants would be a welcome addition, but such additions would run the risk of altering the very soul of what makes Marbella so special. Meanwhile, Marbella's reputation as the hedonistic home of all-night partying and the epicentre of boozed-up Brits abroad is something of a misnomer. For that, you have to travel the three kilometres west to Puerto Banús (yes, while it's still Marbella, it's not Marbella Marbella). For Spaniards, especially, Marbella represents everything they want in a night out, which is something that would tally quite comfortably with the majority of holidaymakers and expats. A typical night out in Marbella is most likely to constitute the following: an affordable sit-down meal that begins at 9-10pm and is accompanied by wine and beer, followed by a few pints at the nearest Irish bar before moving on to a dance club in the Old Town that stays open until 7am. That is, no unsavouriness: just a memorable evening surrounded by Spanish fellow revellers out to have a good time, a good dance and a couple of Alhambras or gin tonics. For something more serene, Alameda Park has the occasional open-air concert, while the sports stadium hosts music, dance, theatre and sports events throughout the year – delivering the perfect opportunity to soak up some traditional Spanish culture. 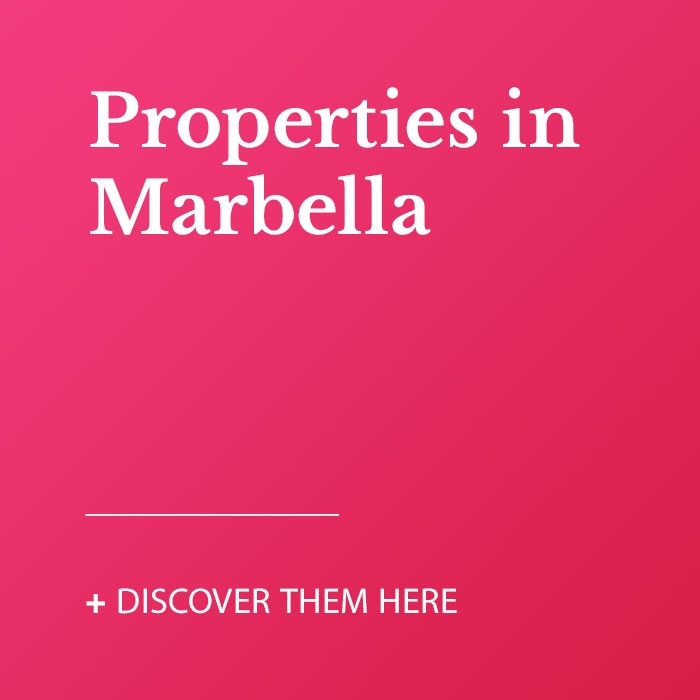 While the town centre is the geographic and demographic focal point, Marbella is the sum of many diverse parts: from Cabopino and Elviria in the eastern part of the municipality to Puerto Banús, Nueva Andalucía and San Pedro de Alcántara in the west.